Doctor Brad Stahlheber entered college with the intention of becoming a pharmacist. Along the way he found himself facing the decision to select the next level of schooling. It was when he was looking into taking his PCAT that he realized he wanted to take a different direction and took the MCAT instead. It was here when Doctor Brad Stahlheber knew he wanted to become an anesthesiologist. 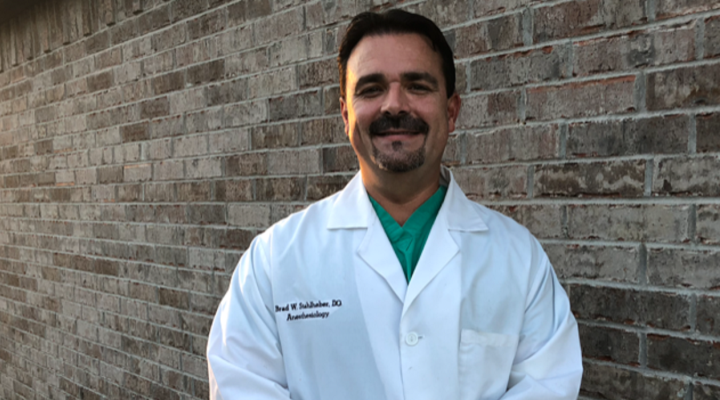 After graduating from medical school in 2004, he moved onto Oklahoma State University Medical Center where he graduated in 2008. After working for 8 months at St. Francis South, Brad Stahlheber found a fulfilling position at Muskogee Community Center in Muskogee, Oklahoma. After three years of work dedicated to his patients and the hospital, he rose to the position of Chief of Anesthesia. It was here that he was able to affect change and improve practices that helped patients. When he found himself seeking a new challenge, he moved to St. John Medical Center in Tulsa, Oklahoma. Here he serves as part of a specialized team working for the benefit of patients who require complex back surgeries. In his free time, Brad Stahlheber enjoys snow skiing, running, mountain biking and visiting the gym. During my years as an undergraduate, I pursued degrees in biology and chemistry. For a time, I worked as a pharmacy tech. While there I began to prepare for the PCAT, the exam to enter school to become a pharmacist. Through that process, I came to realize that I also had the degrees needed to become an anesthesiologist. It felt like a good fit for both me and my experiences until that time. I took the MCAT and attended medical school. I am part of a complex spine team that supports Doctors of Osteopathic Medicine. This team specializes in caring for the patients that have multiple surgeries and complex issues that need to be properly repaired. It is very rewarding work. I report at 6:30 each morning, and we get the surgical schedule at 7. My day continues based on the number of scheduled surgeries. Every day is different and I have never had a single day of mundane work. Each and every day, I am presented with challenges that I have to tackle and overcome. Also, sometimes a sudden crisis occurs and it is really up to how well we deal with improvising that will determine the outcome of this crisis. No one likes to hurt or deal with pain. I am one part of the solution and often a voice of comfort during surgery. It is nice to know I can help others manage this pain and get through situations that are often frightening. I would say my time as Chief of the Anesthesia Department in Muskogee was the high point in my career. It enabled me to affect positive change for patients and my fellow doctors. I often think about how this brief career experience empowered me as an individual and taught me a lot about leadership, decision making, critical thinking, problem solving, and integrity. I make time to spend with my girlfriend and her Great Dane. On some days I will come home and take a run or a bike ride as well.